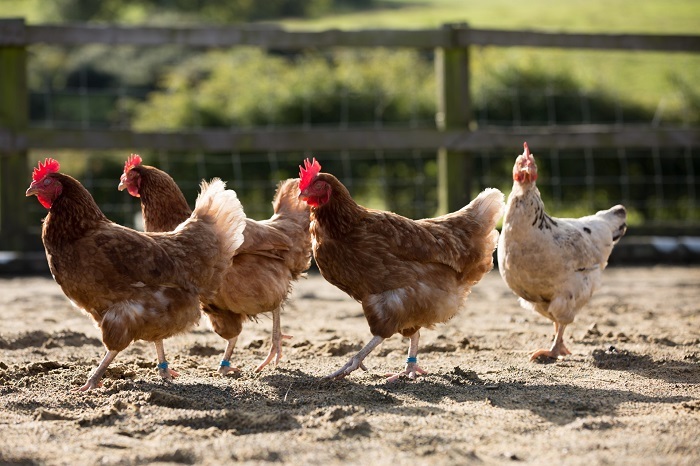 A new study reveals genetic changes that affect social behavior in chickens. We have a number of phrases that relate human behavior to that of chickens; for example, when you accuse someone of acting “chicken,” you’re likely calling them a coward. If someone is running around like a chicken with their head cut off, they’re probably frantic and disorganized. The reality of chicken behavior is, of course, more complex than these cliches; chickens naturally live in groups and exhibit many of the same social behaviors that other animals do, like anxiety and seeking out friends. Some chickens are more sociable than others, but what accounts for this difference? In a report published in GENETICS, Johnsson et al. analyzed the genes and behavior of chickens to find out. The authors were specifically interested in social reinstatement (SR) in chickens. Social reinstatement measures how sociable a bird is; it is calculated by removing a chicken from its fellows and observing how long it takes to seek them out again. The authors performed this test on hundreds of chickens who were also genotyped with a SNP array. They identified correlations between genetic and phenotypic differences using quantitative trait locus analysis. The authors also analyzed gene expression in the chickens’ hypothalamuses—which play an important role in behavior and sociality—to bolster their findings. A number of SNPs correlated with different social reinstatement scores. For example, differences in the gene TTRAP, which is associated with neurodegeneration and early-onset Parkinson’s disease, strongly correlated with differences in SR. Other neuron-associated genes, like PRDX4, also had correlations with SR—as were some genes that, until now, had never been associated with neurology or behavior. These findings are correlative, and further research will be needed to prove a causal link between the identified genes and behavior. However, by identifying a list of candidate behavior-related genes, researchers have promising places to start looking for causal links, rather than running around like… well, you get it. Which is more powerful: genetic or epigenetic variation?